What can LAND do for you? Link exiting and beginning dairy producers in order to form a partnership or joint venture. Assist beginning dairy producers with an opportunity to work with existing facilities and cows in order to start farming. Assist exiting dairy producers to gradually transition out of farming. 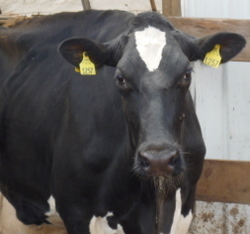 Assist beginning dairy producers to locate a facility in order to start farming. Assist exiting dairy producers in the transition out of the dairy business. How do you qualify to be part of the program? You are thinking about retiring in the next few years. You are looking to partner with someone to ease your daily work load. You are looking to sell your property and business. You are already out of farming, but would like to work with a beginning farmer in order to use the facilities. Your operating or vacant farm is for sale or rent. You want to start dairy farming, but cannot afford to purchase an entire working operation right now. You want to get some dairying experience before starting out on your own. You would like to rent or buy a portion of a current working operation.